At the close of the reading of Mr. Headland's paper on "Religion in Peking" Dr. Momerie announced that the other speakers bulletined for the evening had failed to appear. It was but 9 o'clock, and the main auditorium and galleries were well filled. There was an outburst of applause as they caught sight of the Hindoo monk, Vivekananda, sitting in his orange robe and scarlet turban upon the platform. This popular Hindoo responded to the generous applause by saying that he did not come to speak to-night. He took occasion, however, to criticise many of the statements made in the paper by Mr. Headland. Referring to the poverty which prevails in China, he said that the missionaries would do better to work in appeasing hunger than in endeavoring to persuade the Chinese to renounce their faith of centuries and embrace Christianity at [as] the price of food. And then the Hindu stepped back on the platform and whispered to Bishop Keane, of the Catholic church, a moment. Christian brethren of America, you are so fond of sending out missionaries to save the souls of heathens. I ask you what have you done and are doing to save their bodies from starvation? (Applause). In India, there are 300,000,000 men and women living on an average of a little more than 50 cents a month. I have seen them living for years upon wild flowers. Whenever there was a little famine hundreds of thousands died of starvation. Christian missionaries come and offer life but only on condition that the Hindoos become Christians, abandoning the faith of their fathers and forefathers. Is it right? There are hundreds of asylums, but if the Mohammedans or the Hindoos go there they would be kicked out. There are thousands of asylums erected by Hindoos where anybody would be received. There are hundreds of churches that have been erected with the assistance of the Hindoos, but no Hindoo temples for which a Christian has given a penny. Brethren of America, the crying evil of the East is not religion. We have more than religion enough; what they want is bread, but they are given a stone. (Applause). It is an insult to a suffering man dying of hunger to preach to him metaphysics. Therefore, if you wish to illustrate the meaning of "brotherhood" treat the Hindoo more kindly, even though he be a Hindoo and is faithful to his religion. Send missionaries to them to teach them how better to earn a better piece of bread and not to teach them metaphysical nonsense. (Great applause). And then the monk said he was in ill health today and wished to be excused. 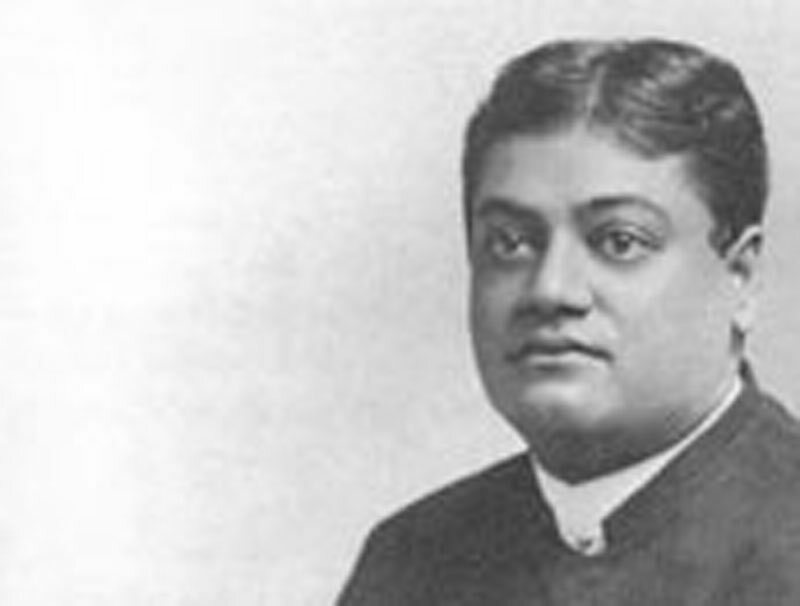 But there were thunders of applause and cries of "Go on" and Mr. Vivekananda continued. The paper just read says something about the miserable and ignorant priest. The same may be said of India. I am one of those monks who have been described as beggarly. That is the pride of my life. (Applause). I am proud in that sense to be Christ-like. I eat what I have today and think not of tomorrow. "Behold the lilies of the field; they toil not, neither do they spin." The Hindoo carries that out literally. Many gentlemen present in Chicago sitting on this platform can testify that for the last twelve years I never knew whence my next meal was coming. I am proud to be a beggar for the sake of the Lord. The idea in the east is [that] to preach or teach anything for the sake of money is low and vulgar, but to teach the name of the Lord for pay is such a degradation as would cause the priest to lose caste and be spat upon. There is one suggestion in the paper that is true: If the priests of China and India were organized there is an enormous amount of potential energy which could be used for regeneration of society and humanity. I endeavored to organize it in India, but failed for lack of money. It may be I shall get the help I want in America. But we know it is very hard for a heathen to get any help from "Christian people". (Great applause). I have heard so much of this land of freedom, of liberty and freedom of thought that I am not discouraged. I thank you, ladies and gentlemen. And then the popular visitor bowed gracefully and sought to retire with a graceful smile, but the audience cried to him to proceed. Mr. Vivekananda, fairly bubbling with an expression of good nature, then explained the Hindoo theory of [re]incarnation. At the close of the address Dr. Momerie [a delegate from England] said that he now understood why the newspapers had well called this parliament an approach to the millennium. . .